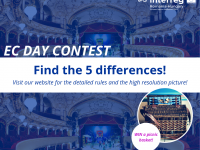 European Cooperation Day – Participate in the contest! 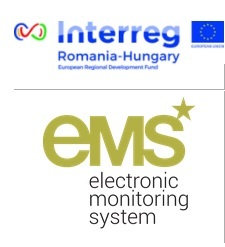 The European Cooperation Day is celebrated on the 21st of September and the surrounding days every year, aiming at showcasing successful project results and promoting the importance of territorial cooperation. Programmes and projects come up with exciting events and activities to involve EU citizens in the celebration, thus strengthening the links and relationships between each other, as ultimately, it is the cooperation between individuals that makes cooperation on the EU level possible. This year, our Programme celebrates by uniting our followers for a brief moment of online cooperation. We are going to play a simple game, with a big reward: Find the differences and get a chance to win a picnic basket! 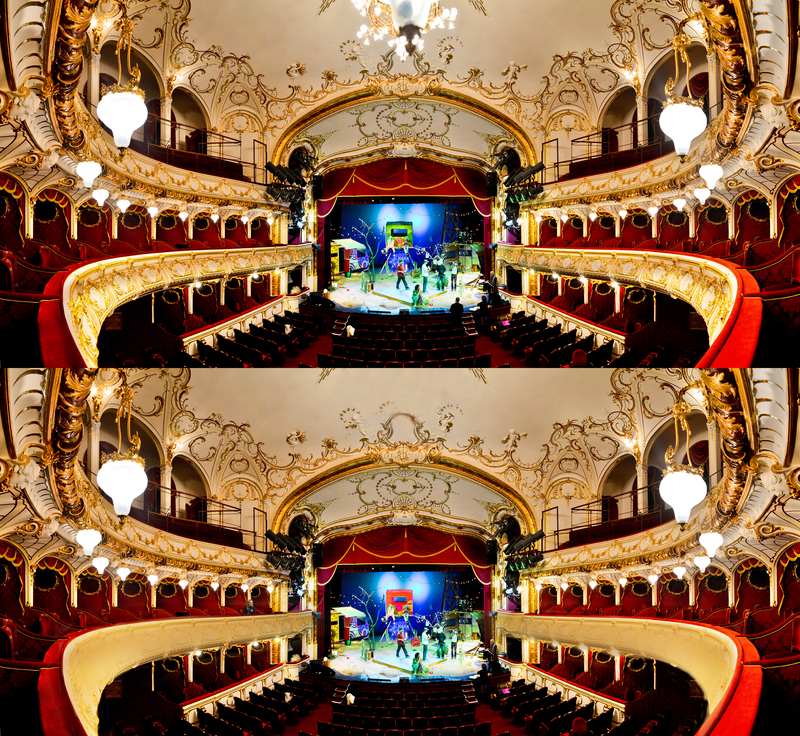 Please observe carefully the below high-resolution picture montage of the Queen Mary Theater in Oradea. Spot at least 3 out of the 5 differences between the two pictures! We accept comments with the solutions until 24:00 (EET) September 24th 2018(next Monday). We are going to randomly select 3 commenters, who will each win a picnic basket! Attention: we will only consider commenters who guessed at least 3 differences out of 5! We are going to use an impartial online tool for the selection, announcing the winners on September 25th 2018, on our Facebook page. The picture – being taken in a theater – also strives to promote the European Year of Cultural Heritage – an initiative dedicating 2018 to cultural values, aiming at bringing people closer to and more involved with their cultural heritage, through a series of initiatives and events all across Europe. Cultural heritage shapes our identities and everyday lives. It surrounds us in Europe’s towns and cities, natural landscapes and archaeological sites. It is not only found in literature, art and objects, but also in the crafts we learn from our ancestors, the stories we tell to our children, the food we enjoy in company and the films we watch and recognize ourselves in. Thank you for your participation, and good luck for winning a prize!